The sleek design of our Pars credenza collection complements both traditional and modern office settings. Useful for a wide range of storage solutions from paperwork and folders to media equipment and even fridges. Our Pars credenzas paired with the Pars tabling range offers an appealing and professional finish within any meeting or conference room. The Pars collection is available in a variety of finishes including white, maple, grey, oak, cherry or walnut Melamine or a veneer finish in beech, oak, cherry or walnut. There are a number of edge options to suit personal preferences too including square, aerofoil, chamfered or solid chamfered. 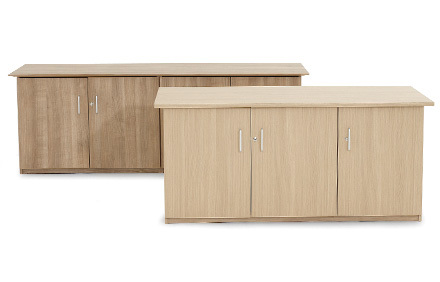 With two, three or four door cabinets available, the Pars range is very adaptable to your specific office needs. 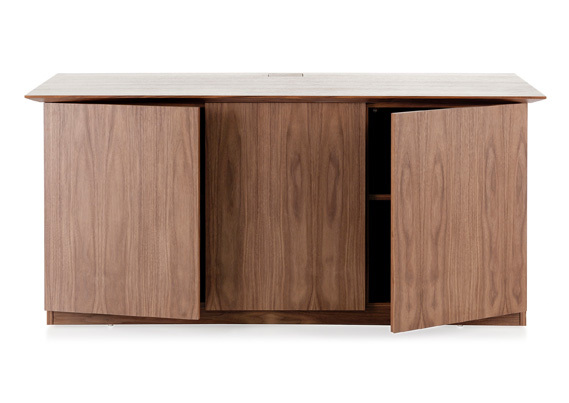 As standard, each credenza comes with one shelf but can be easily reconfigured to accommodate a variety of requirements. 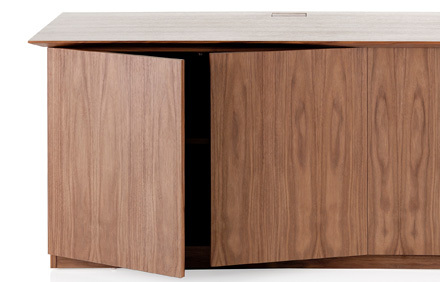 Each credenza has touch catches on the doors for easy access and can be fitted with handles and locks if necessary. 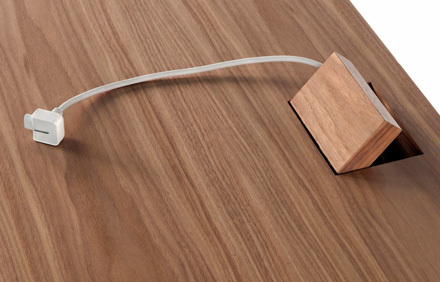 For media equipment such as monitors or TV screens, cable post ports and hatches can be added for an easy connection, effortless access to wires and neat storage.